Who says a great meal needs to be a formal affair?The Oinkster, a fast-casual concept from acclaimed fine-dining chef Andre Guerrero, invites diners to kick back and enjoy high-quality American classics in a relaxed, modern and fun environment. Occupying the former site of Jim’s Burgers on Eagle Rock’s newly hip Colorado Boulevard, The Oinkster aims to be Los Angeles’ antidote to both, expensive gourmet meals and their cheap fast food counterparts. On the restaurant’s $10-and-under menu that skips high prices in favor of better flavors, quality will be paramount. Premium sandwiches made with house-cured pastrami or sloooow-roasted pork compete for diners’ attention with juicy burgers made from freshly-ground Nebraska Angus beef, first-rate rotisserie-roasted chicken and crispy Belgian fries. Fake fast-food cheese are given a pass in favor of scrumptious Gruyere and yummy sharp cheddar; home-made sauces, dressings and spice rubs share the plate with house-made condiments and crunchy veggies. 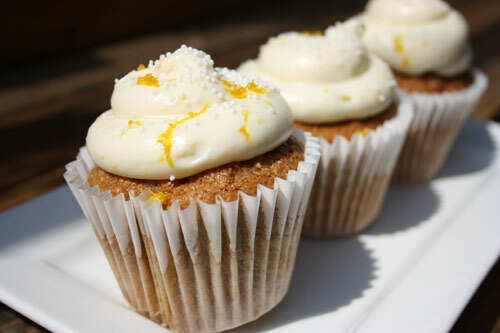 In typical Oinkster-fashion, all remaining culinary needs are addressed in taste and style, too: Each meal can be rounded out with a premium beer, quality wine or one of the restaurant unusual specialty sodas; Hand scooped shakes made with Fosselman''s ice cream and an assortment of handmade cupcakes and desserts tempt the taste buds. 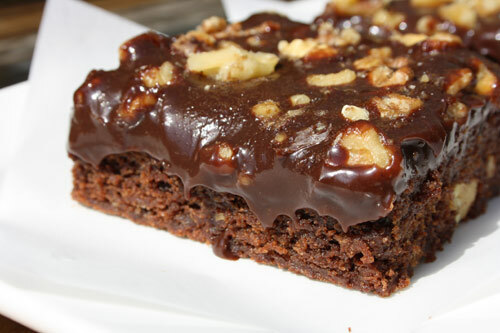 In the world of food, there is always something new and delicious to be discovered. Let’s go, find it, and bring it to the table! This go-getter attitude has been chef Andre Guerrero’s motto ever since he opened the award-winning MAX in Sherman Oaks seven years ago. Only 18 months after launching MAX, his hungry mind drove him to sink his teeth into a completely different concept. The result: Señor Fred, an equally successful Mexican-themed eatery that helped cement upscale ethnic cuisine as one of Los Angeles’ dining trends. Always savoring reinvention, Chef Andre soon charted a course for new culinary territory. 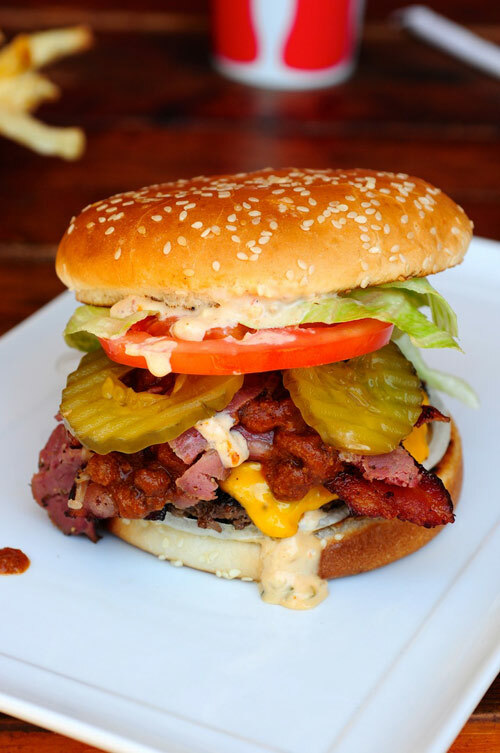 The result - The Oinkster; his take on classic American fare. The Eagle Rock eatery, now tempts Angelenos with what he dubs ‘slow fast food’: House-cured pastrami, slow roasted pork, and rotisserie chicken, along with Belgian fries and home-made ketchups and dressings. Career highlights: 2008, 2009 Michelin Guide, recommended Excellent Ratings, Max Restaurant. Zagat Survey, “Very Good to Excellent Ratings” for Max Restaurant and Senor Fred. Other accolades include 2005 City Search “Best Of Winner”, Max Restaurant. Check out the latest from the formidable chef; in a partnership with the heralded chef Gary Manes -Marche in Studio City. Upon opening, it garnered the first, doubtless of many, great notices, a shining review by S. Virbilia in the Los Angeles Times. Whatever the manifestation visit one of Chef Andre''s restaurants today you''ll be delighted, satisfied and sure to return! 1/3 lb. Nebraska Angus Patty topped with Triple Bacon, American Cheese, Crispy Fried Onions, Chipotle Ketchup and Mayo. 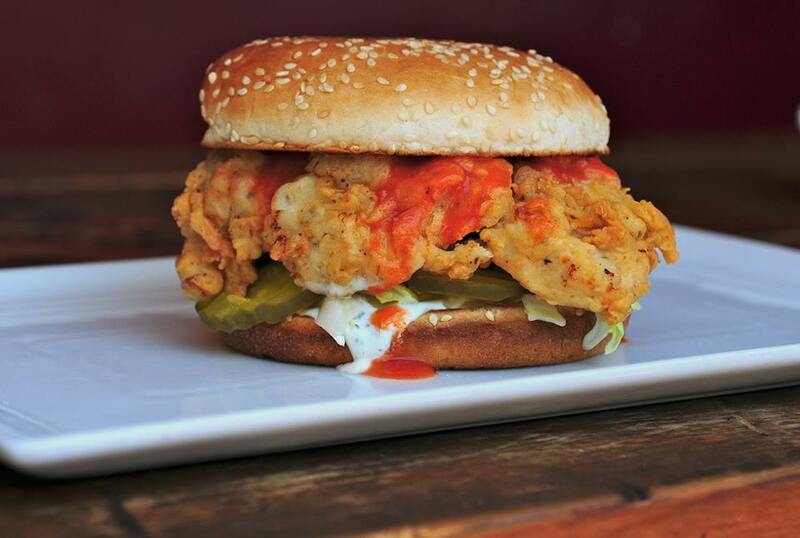 Buttermilk Fried Chicken Breast served with House Made Ranch, Buffalo Sauce, Pickles, and Chopped lettuce on a seeded bun. 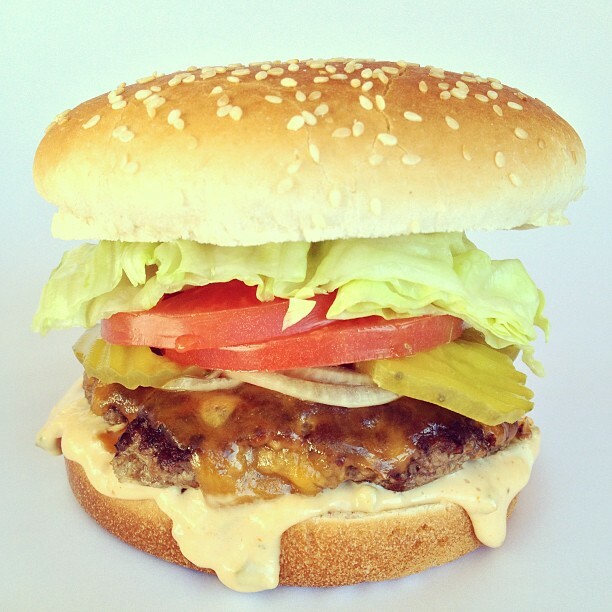 3 oz Angus Beef Patty, topped with lettuce, tomato, pickles, onion and thousand island. Served on a brioche bun. 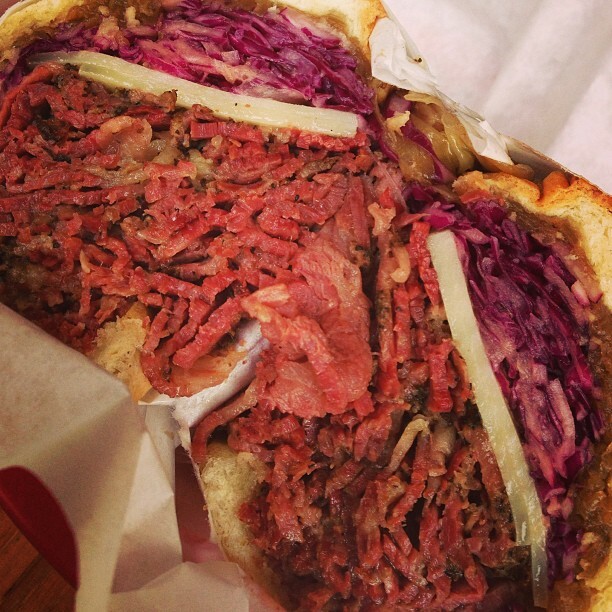 Our House Cured Pastrami served with Red Cabbage Coleslaw, Caramelized Onions and Gruyere Cheese. Served with a Pickle Spear. Our pork is brined with soy and honey then slowly roasted and smoked. Served with red cabbage slaw, caramelized onions and Carolina BBQ sauce. Pork Patty served on a Pan De Sal Bun with House Made Pork Adobo, Garlic Aioli, and Pico de Gallo. Our house cured pastrami with thousand island, sauerkraut, and gruyere cheese served on rye bread. 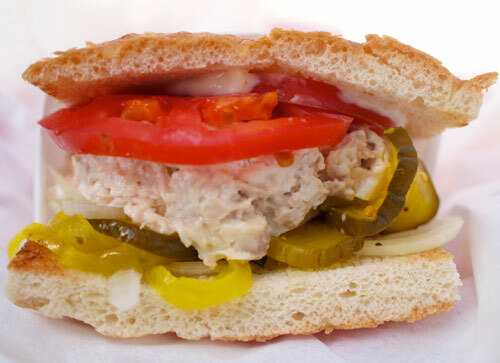 Pulled roast chicken, house made bread-and-butter pickles, topped with mayonnaise, tomato and onion on focaccia bread. Grilled chicken breast, sliced brie cheese, garlic aioli, fresh tomato, and onion on grilled sourdough bread. 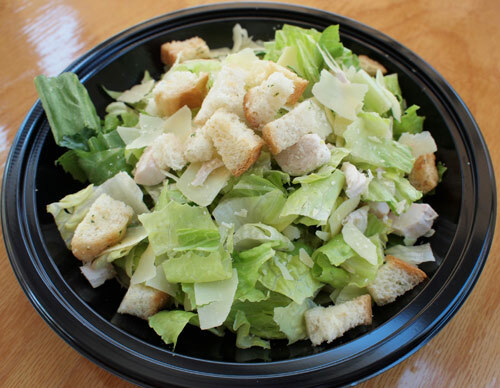 Romaine lettuce, baby mixed greens, iceberg lettuce, tomatoes, scallions, cucumbers, and gorgonzola cheese. 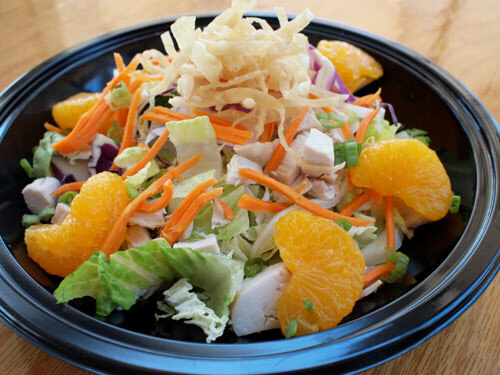 Romaine lettuce, iceberg lettuce, napa and red cabbage, carrots, scallions, almonds, mandarin oranges, fried wonton strips and soy sesame dressing. Mixed greens, chopped beets, chopped tomatoes, candied pecans, scallions, balsamic dressing, and topped with a fried goat cheese crouton. 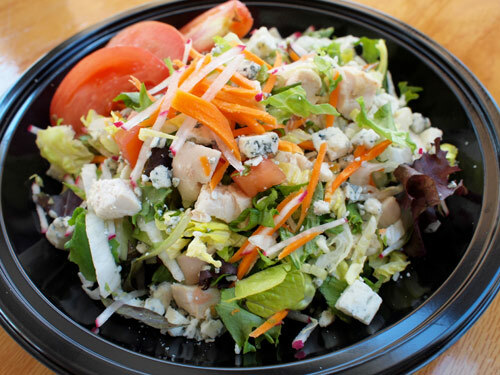 Romaine, baby mixed greens, iceberg lettuce, tomatoes, cucumbers, radishes, carrots, and balsamic dressing. fries, rice, beans, plantains, or coleslaw. BBQ Pulled Pork - $16.00 / lb. 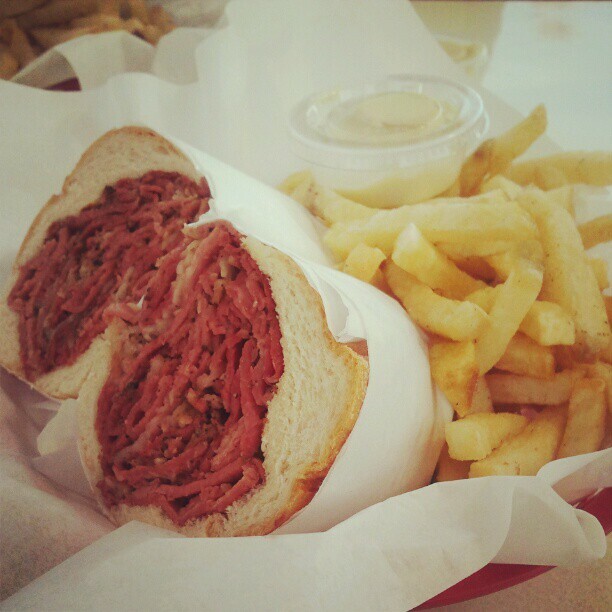 Our Pastrami is cured for two weeks, rubbed with special Oinkster secret spices and smoked with applewood. Served with a Pickle Spear. Our Pork is brined with soy and honey then slowly roasted and smoked. 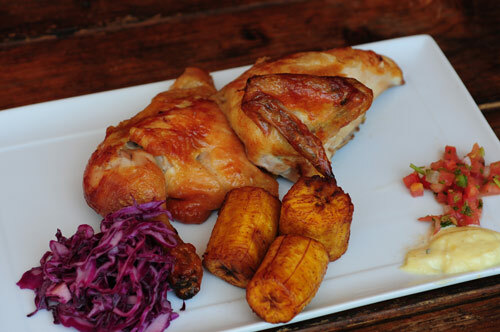 Served with Red Cabbage Coleslaw, Caramelized Onions and your choice of Carolina or Traditional BBQ Sauce. 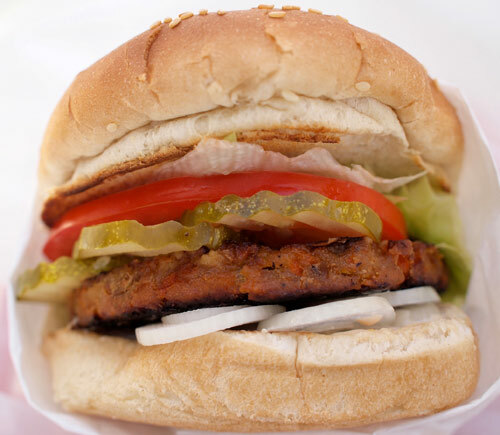 Our Burgers are made from fresh Nebraska Angus Beef with our own Thousand Island Dressing, Dill pickles, Onions, Tomato and Lettuce. Add American or Sharp Cheddar for $1.00 or Gruyere for $1.75. Our House Cured Pastrami with our Thousand Island, Sauerkraut, and Gruyere Cheese served on toasted Rye Bread. Served with a Pickle Spear. Our ⅓ lb. Nebraska Angus Patty with Bacon, Chili & Pastrami as well as Dill Pickles, Onions, Tomato, Lettuce and Thousand Island Dressing. Choice of American or Sharp Cheddar. Gruyere added for .75. Grilled Chicken Breast served with Brie, Truffle Aioli, Fig Mostarda, Arugula, and Tomato, on Grilled Sourdough bread. Our ⅓ lb Nebraska Angus Patty served with our House Made Chili, American Cheese, Onions, Pickles, Tomato, and Mustard on a seeded bun. Romaine, baby mixed greens, napa and red cabbage, cucumbers, carrots, scallions, peanuts, fried wonton strips, served with green curry sauce and chili lime dressing. Romaine lettuce, napa and red cabbage, carrots, scallions, almonds, mandarin oranges, fried wonton strips and soy sesame dressing. 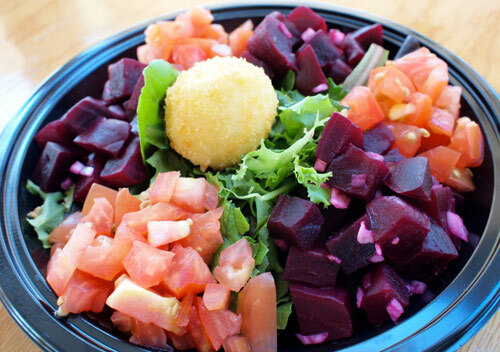 Mixed greens, chopped beets, chopped tomatoes, candied pecans, shallots, balsamic vinaigrette, and topped with a fried goat cheese ball. 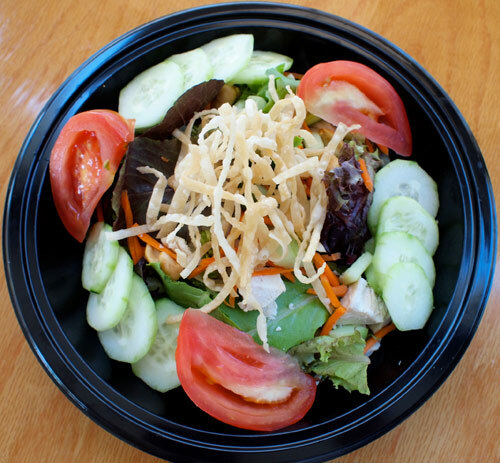 Romaine, baby mixed greens, iceberg lettuce, tomatoes, cucumbers, radishes,carrots, and balsamic dressing. Baby Arugula with shaved Parmesan, Heirloom Cherry Tomatoes, and Balsamic Vinaigrette. Wedge of Iceberg with chopped Bacon, Heirloom Cherry Tomatoes, Gorgonzola Crumbles, Chopped Red Onion and Blue Cheese dressing. 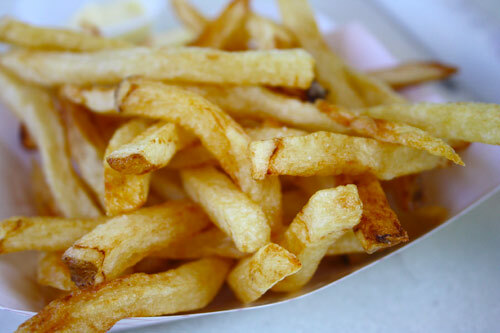 Hand Cut, Twice Fried served with a side of Garlic Aioli. 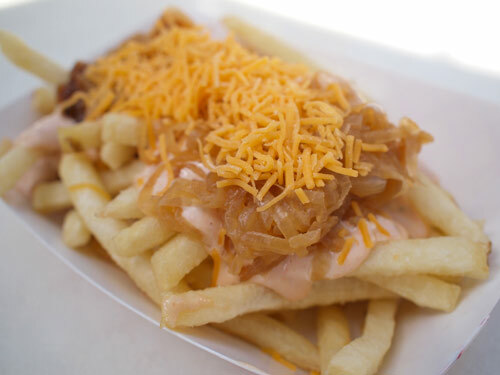 Belgian Fries topped with our Thousand Island, Caramelized Onions and shredded Cheddar Cheese. 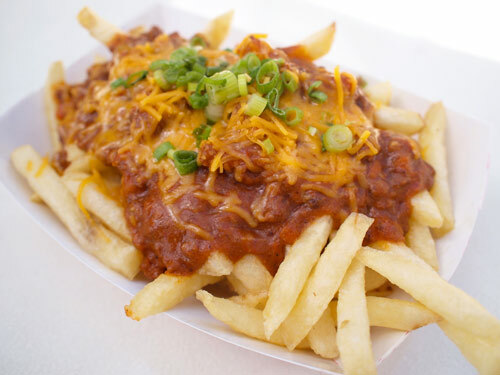 Belgian Fries topped with our House Made Chili, shredded Cheddar Cheese and Green Onions. Our House Made Chili topped with shredded Cheddar Cheese and Green Onions.